Indian red is the correct color for a Trailblazer tank. CORRECTION: My guess was incorrect. It's not an Indian Trailblazer, it's an Indian Apache, the trail model of the same powerful, twin-cylinder Royal Enfield. See bottom of article for my explanation. It's an Indian Trailblazer, a 693cc-twin made by Royal Enfield in England from 1955 to 1959 to sell as an "Indian" motorcycle in the United States. At least that's my guess. 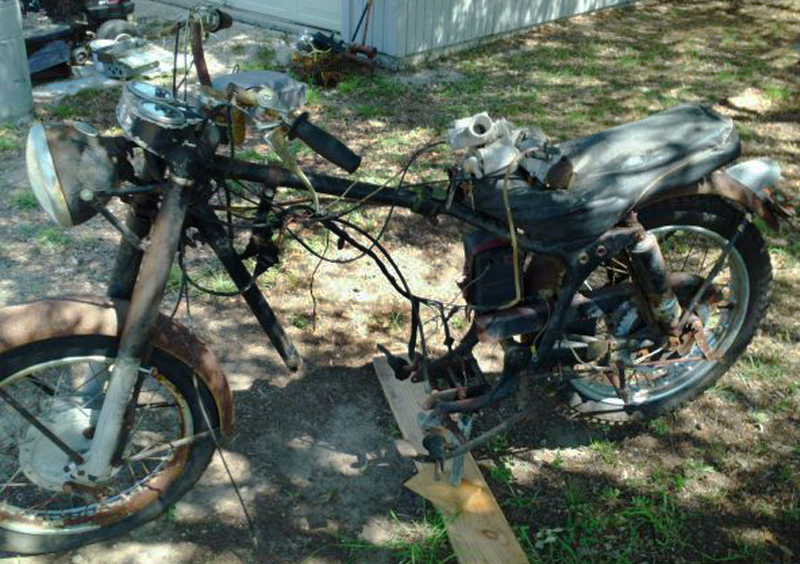 The motorcycle, in pieces, is for sale on CraigsList in Kempner, Texas, for $1,800. It's intriguing, despite looking like the Scarecrow in the "Wizard of Oz" after the flying monkeys took him apart. 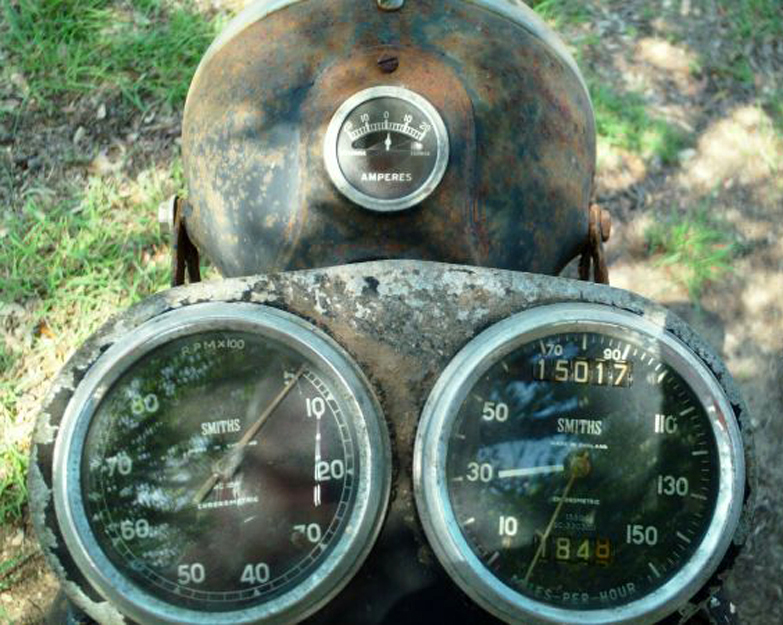 Dirty dials are still stirring to look at. "MOTORCYCLE, ROYAL ENFIELD, INDIAN, YEAR, 1954-59???? not sure of year of this cycle or model. Speedometer does say Made in England, frame number looks like 7622, motor has a blown case, not sure if bike is complete, can't guarantee all parts are there, gas tank has Indian logo. More pics on request." What is so appealing about wonderful old motorcycles found in this condition? Is that an oil cooler on the seat next to the carb? Like the dog that follows you home, being scruffy and needing attention somehow makes it more appealing. "Please, Mommy, can I keep him?" Dad would point out that your allowance won't cover rabies shots, much less the full cost of restoring this motorcycle. EXPLANATION: How did I get this wrong? I can't just blame the confusing Indian model names: The Trailblazer is not the trail version, the Apache is! I call that confusing. I should have waited for word from two sources I trust, Chris Overton of the Royal Enfield Interceptors Group, and Grahham Scarth, chairman of the Royal Enfield Onwers Club in the UK. "Frame number says it's an Apache," Graham advised. 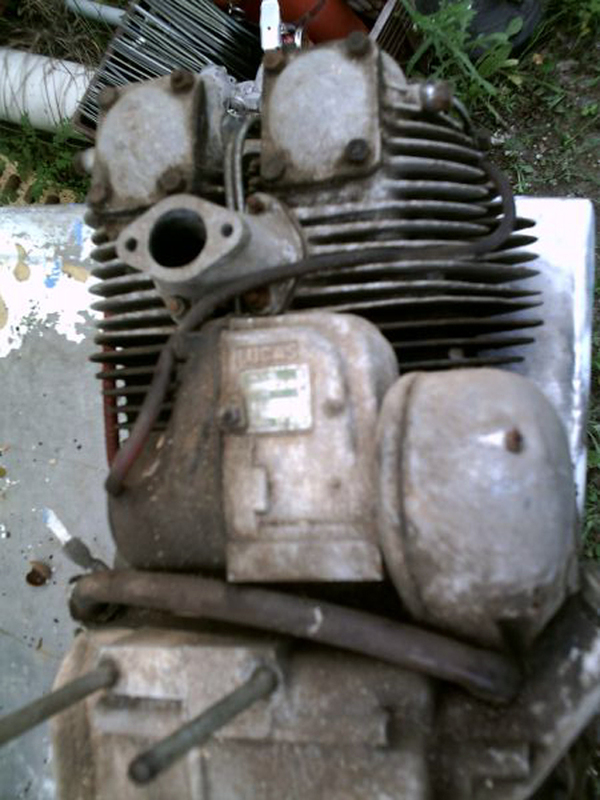 "Note the plugs and sockets to disconnect the wiring to the detachable headlight. Battery shelf instead of toolbox. 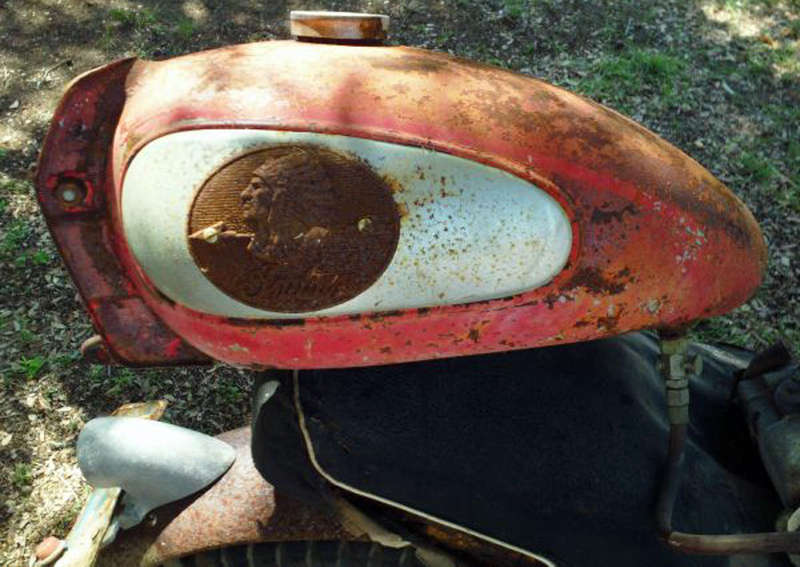 That bike is an Apache, 1958 or '59, as the '57 had ears to hold the headlight, instead of struts. It is rare for the QD sockets to survive, and for the front fender and stays to survive as well." 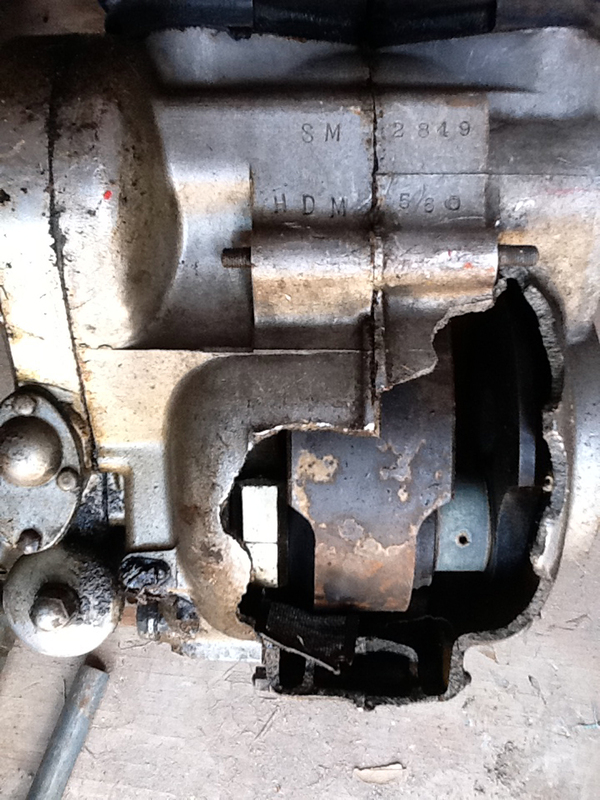 Big hole in front of crankcase. UPDATE: From reader Bob Viall: I have been a Royal Enfield enthusiast for over 40 years and I enjoy looking at your blog from time to time. I noticed the pics of the Apache listed on CraigsList and I would say that frame 7622 is a 1959 model. I have 7624 and it is definitely a 1959 Apache since it has been dated by Graham Scarth of the REOC.